I have been in love with travel since I started in the business 25 years ago. I have worked in many aspects of travel including Corporate, Government and Leisure Travel which I am currently doing these days and am absolutely thrilled about doing it at such a wonderful and dedicated company such as Dube Travel. I've traveled to many countries all over Europe, Asia, Egypt, many Caribbean & Mexico destinations, England and Ireland as well as many US destinations. I would love to have the opportunity to help you discover the perfect vacation that you so desire. I am the new Destination Weddings Agent for Dube Travel. 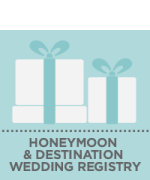 I find it exciting to help Brides & Grooms plan their perfect wedding. Marilyn coordinated the full travel arrangements for my family and friends for a destination wedding in Cancun which included 35 people departing from different locations around the country. She did an impeccable job communicating with me as to any potential issues and pricing adjustments. Everyone who attended had a wonderful experience and I believe all of our guests are hoping to use Marilyn again. Thank you to Marilyn and Dube Travel for helping to make the event and travel as simple as possible. We will certainly be using Marilyn again.